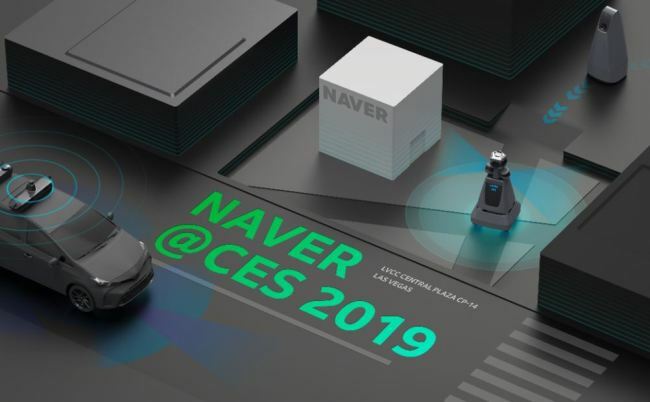 LAS VEGAS — South Korea’s biggest internet company Naver is debuting its proprietary artificial intelligence, robotics and mobility technologies to a global audience for the first time at the 2019 Consumer Electronics Show in Las Vegas that kicks off Tuesday. Korean electronics giants such as Samsung and LG have regularly attended CES to showcase their latest technologies and products to the world. But it’s the first time for Naver, which operates the country’s biggest web portal and a slew of internet-based platform services, to take part in the global tech trade show. The technologies being showcased come from Naver Labs, the firm’s technology research and development unit dedicated to creating forms of “ambient intelligence” that strive to bring cutting-edge technologies into everyday life. 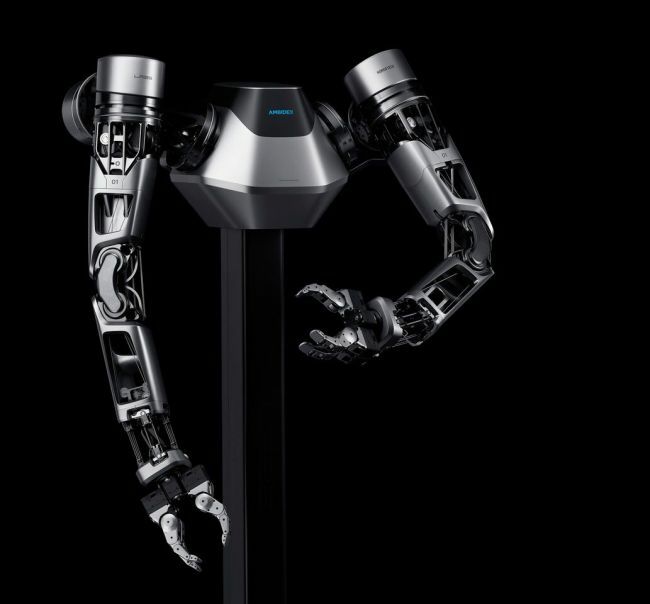 At this year’s CES, Naver is featuring 13 different robotics technologies and mobility solutions, including its high-definition 3D-mapping robot M1, the self-driving indoor guide bot Around G and a set of robotic, cable-driven arms with humanlike sensitivity called Ambidex. For the first time, Naver will be publicly demonstrating how Ambidex can operate via connection to the ultrafast 5G network. 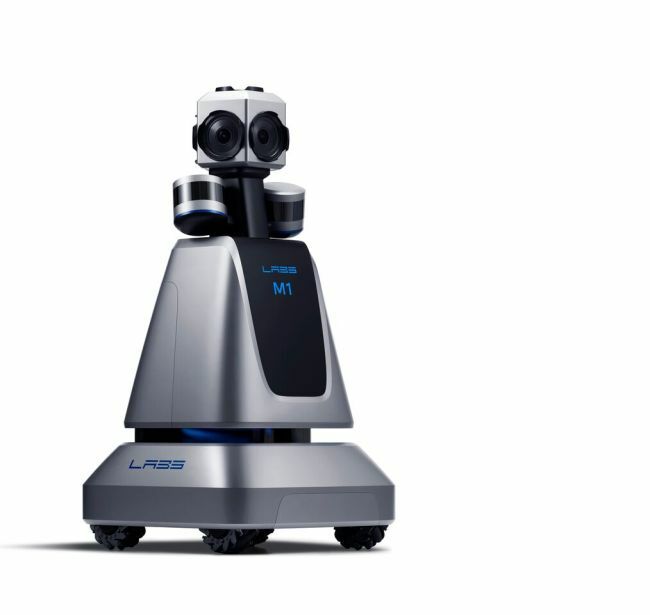 It hopes to highlight its stance as a “5G brainless robot” that can be controlled via a low-latency connection to 5G, removing the need to harbor a complex built-in processor. Developed in conjunction with Seoul-based Korea Tech, Ambidex weighs just 2.6 kilograms. In terms of movement mechanisms, the robot’s core motors are placed at the “shoulders” near the center, and transfer power down to the lower arms and fingers via cable wires, reducing the weight of the arms. An array of technologies for self-driving cars and future mobility services are also in the works. They include Naver’s 3D, high-definition hybrid mapping technology as well as an advanced driving assist system that uses only a single camera in combination with deep learning algorithms. Other highlighted technologies include the eXtended Definition & Dimension Map, or xDM, platform which includes high-dimension mapping, localization and navigation technologies to guide people and self-driving vehicles in not just outdoor, but also indoor settings. “Just as Naver’s early-on AI research became the foundation for its Clova AI assistant, AI-powered translation app Papago and Smart Lens feature, our current R&D investments will form the backbone of valuable services in the future,” said Naver CEO Han Seong-sook in a statement. “With continued R&D into AI, robotics, self-driving cars and mobility technologies, Naver hopes remain globally competitive and bring innovation to our users,” she said. The Naver Labs booth is located at the Central Plaza of the Las Vegas Convention Center, alongside booths operated by global companies such as Google, Here Technologies, Valeo and Daimler.